Vishakhapatnam has always been a favourite weekend destination of mine – I have been there, at least a dozen times during my two decades in Hyderabad. I always prefer a hotel near the seafront, and The Park at Beach Road had so far been a preferred choice. 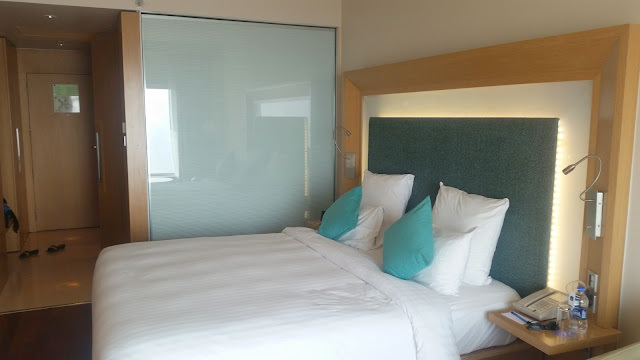 However, when I visited in March, this time, I decided to stay at The Novotel. The reasons for choosing Novotel were quite a few. Friends had been telling me that the restaurants there dish out some really good food. 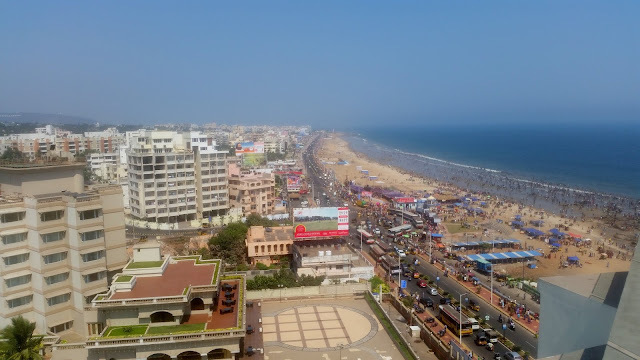 Secondly, apart from being located bang on the popular RK Beach, Ramakrishna Mission and the Kali Temple, where my wife loves to visit, are only a stone’s throw away. Also, people who stayed here before mentioned the fantastic view of the sea which each of its rooms provides. On a hot summer day, we reached the hotel a few hours before the check in time of 2pm, but the front desk was gracious enough to check us in early. As we entered our room we were really mesmerized by the view of the vast expanse of the Bay of Bengal. 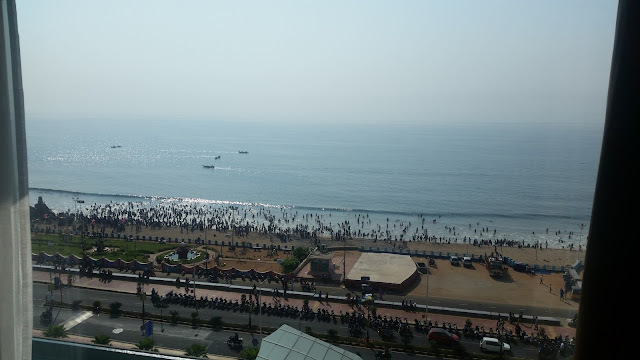 The beach on that day was teaming with people, with thousands coming in for a holy dip on the occasion of partial solar eclipse. The room was neat and clean and had all the amenities provided by a star hotel. 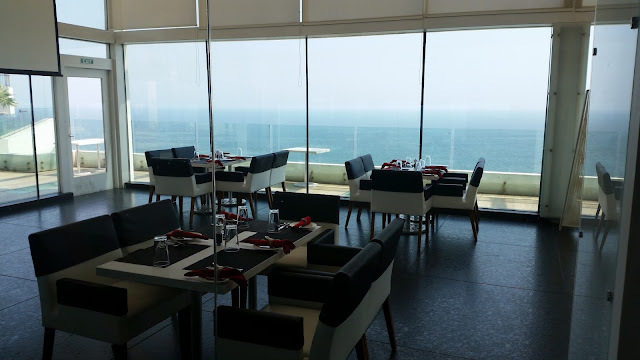 We had a brief chat with one of the F&B Managers and he had advised us to first try out Infinity, the roof top restaurant at the hotel. Soon, we landed up there for lunch. 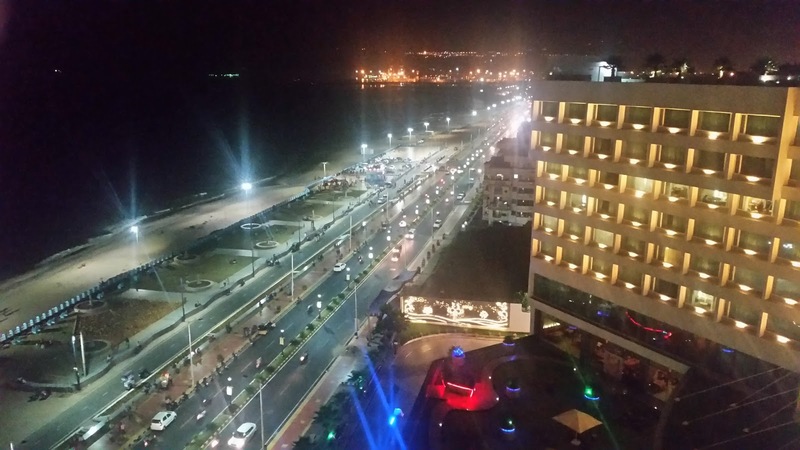 From the rooftop, one could see the entire sea face and the Beach Road from end to end, and this perhaps was one of the best views of the sea from Vizag city. We made a note to come up here again in the evening when the city is lit up. Infinity has both indoor and outdoor seating. Even from indoors you can enjoy the complete sea view as they only have glass partitions. We ordered Chicken in Barbecue Sauce and Fish Fry for our lunch. I loved the chicken which had soaked in the sauce so well. 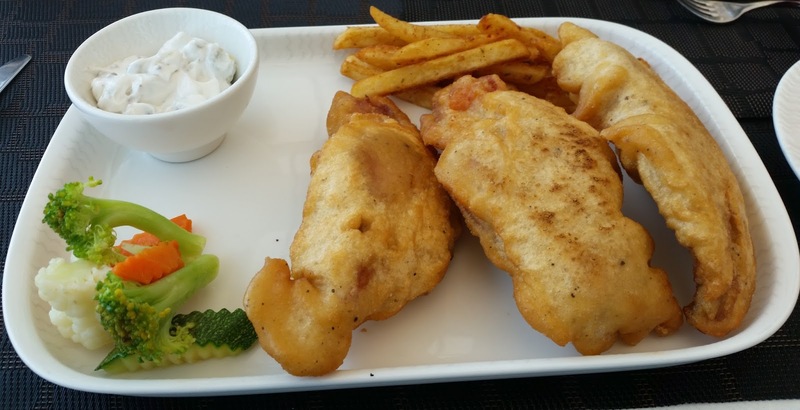 The Fish Fry had a thick batter which was not to my liking, though the large fillets were very fresh. The place also has a well-stocked bar serving best quality liquors. But more than anything else, it is a view which makes it a must visit spot. Even if you do not stay in the hotel, you should dine at this restaurant during a trip to Vizag. 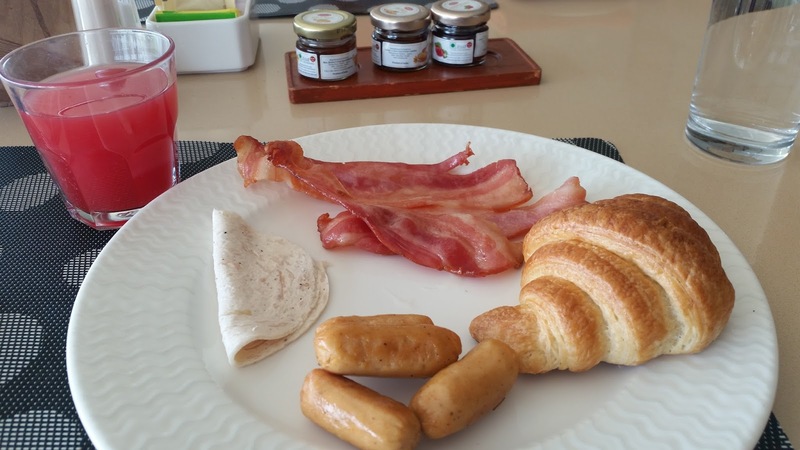 We had been provided complimentary breakfast and dinner for the two days we stayed, and these were served at The Square, the lobby level multi-cuisine restaurant. The dinner spread was quite huge, having quite a few live counters serving grilled food, pizzas, pasta, and seafood. The starters and main courses consisted of Indian, Continental, and Chinese delicacies. On the first day, some delicious Tawa Fish was served. All the fish dishes are prepared from fresh catches from the sea resulting in very good quality seafood meat. The pizza counter served thin crust pizzas. 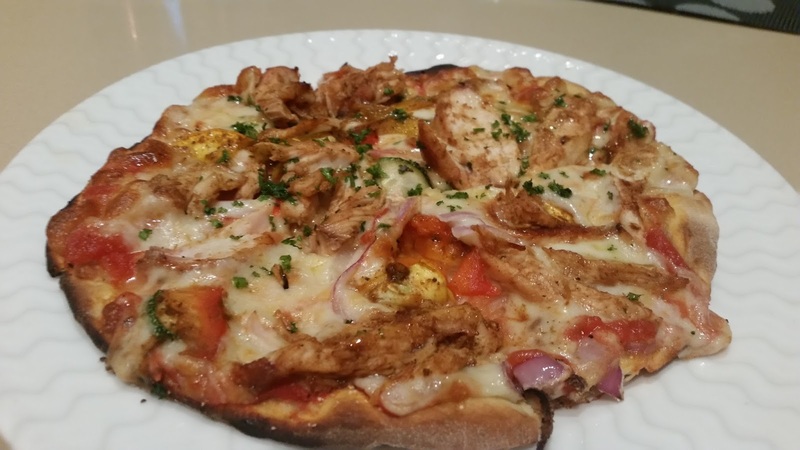 Initially I found the topping of Barbecue Chicken Pizza too less, but the wait staff went back with my request and got a better one made. Notable among the main courses dishes were Kung Bao Chicken along with some noodles, and a spicy Indian delicacy Ra Ra Gosht. Tex Mex Seafood Stew that had prawns with a combination of fresh fishes from the sea. The salad bar especially had some very good concoctions. On the first day, a Cucumber Salad with Mint and Yoghurt as well as Roasted Eggplant with Balsamic Cheese caught my attention for their simple but delicious taste. 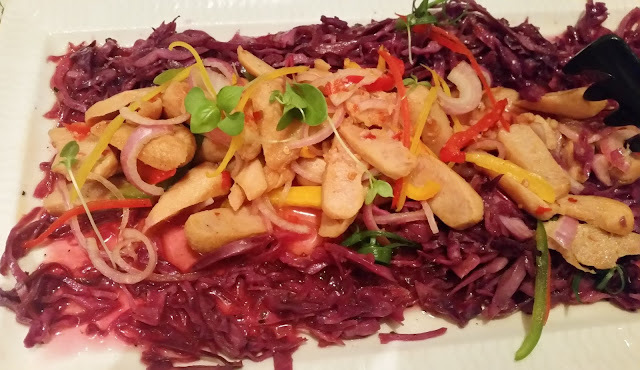 Corn and Sprout Salad and Chicken Sausage and Red Cabbage Salad were the highlights of the salad bar on day two. Among the desserts, Chocolate Mousse was in high demand. 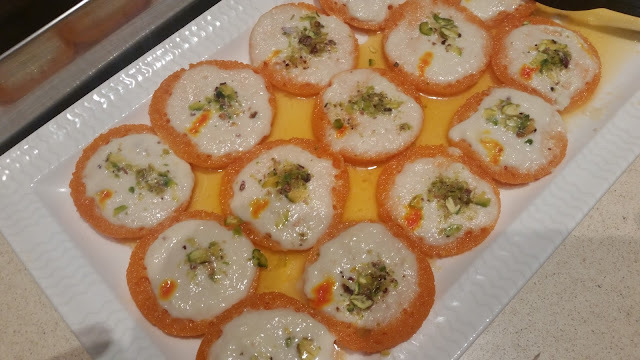 We loved Chum Chum, the Bengali sweet on the menu. Linzer Tart with a crisscross design on top caught our attention too. The buffet spread each time, at least, had a dozen desserts. 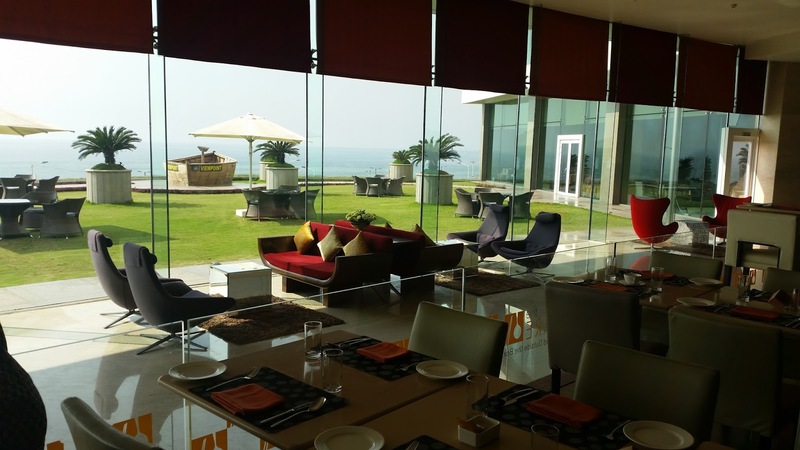 Right in the morning, when you go for breakfast at The Square, looking at the serene sea provides a refreshing start to the day. Breakfast again has a multicuisine spread. 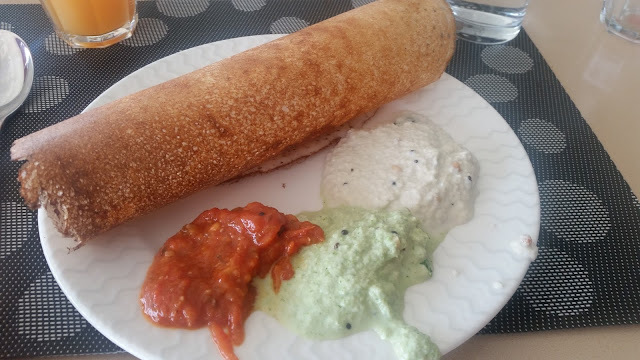 I had some delicious Rawa and Masala Dosas from the live dosa counter, and really appreciated the range of podis they serve from the counter. They do also have a variety of chutneys – ginger, peanut, tomato and coconut to name a few. From the live tea/coffee counter, we followed up on the Indian breakfast with some fresh Filter coffee. The buffet also has steaming idlis and fresh vadas – Palak Vada, fresh spinach based medu vada was a hit with me. Vegetarian items also included hot puris – served with chole or some delicious sabji. The puris also worked well with Kaleji Bhurji – a mildly spicy Indian preparation with lamb liver. I love cold cuts, and the restaurant obliged me with some delicious pickled Chicken Salami, Crispy Fried Bacon, and Sausages. A surprising dish for me was crisp and brilliantly made Pyaz Kachori, which was served with some great tamarind chutney. I was told that one the Chefs was from Rajasthan, resulting in Rajasthani delicacies featured on the menu from time to time. I met Chef Mahesh, the Executive Chef of the hotel. Chef had worked in Marriott Hotels of Hyderabad and Bangalore previously. 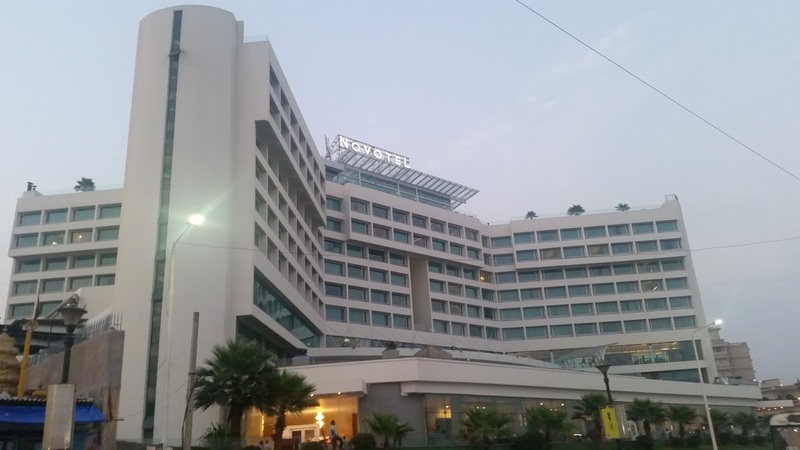 He told me that Novotel has three distinctly different types of customers – the tourists, the locals who come in for fine dine experience, as well as people from abroad who work for longish duration in Vizag based companies and stay in the hotel for months. Thus the menu needs to have a range of dishes serving all the palates, spicy for the locals, experimental for the tourists as well as continental for people from abroad. The Chef said, that for long-term inmates, they also do special arrangements of getting their favourite brands, for example of cheese and olive oil. 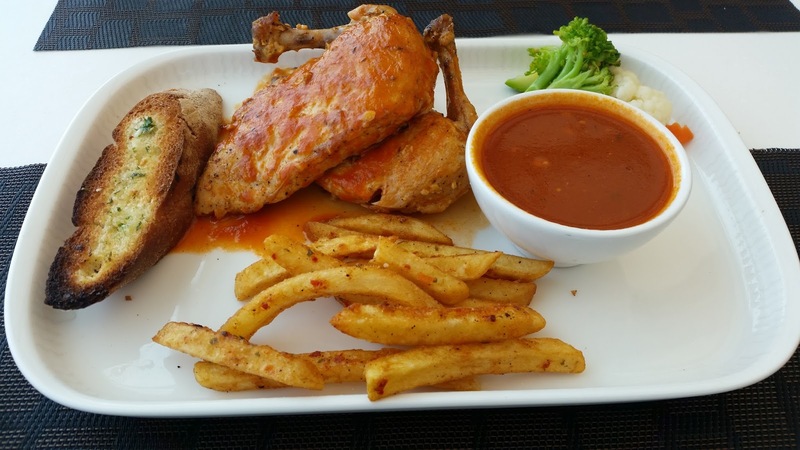 The Square dinner buffet at around Rs 900 plus taxes is very popular in the city. They also have a brunch on Sunday. Popular with the tourists staying here, Zaffran the Indian cuisine restaurant next to The Square serves both North Indian and South Indian food. 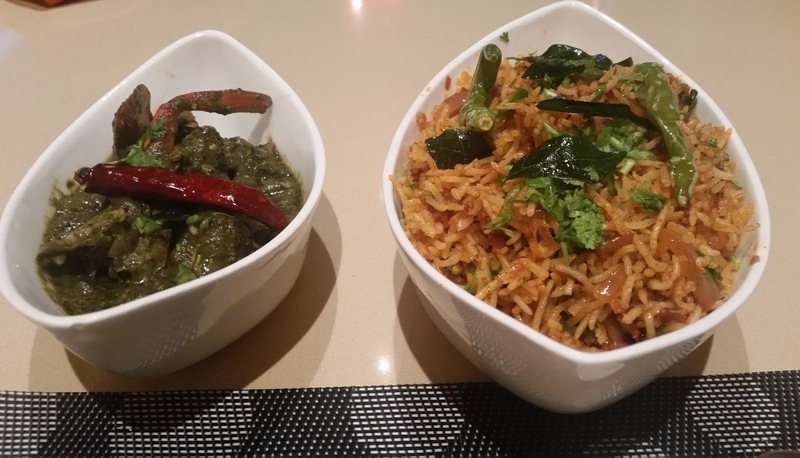 The restaurant has select signature dishes and Tawa Chicken Pulav is one of them. The flavours and spices on the rice and chicken combo cooked on the tawa gave it a very special taste. I tried out their local preparation, Gongura Crab with rice. The taste of the curry was awesome, but the crab taste was slightly overwhelmed by the strong flavour of sorrel leaves. 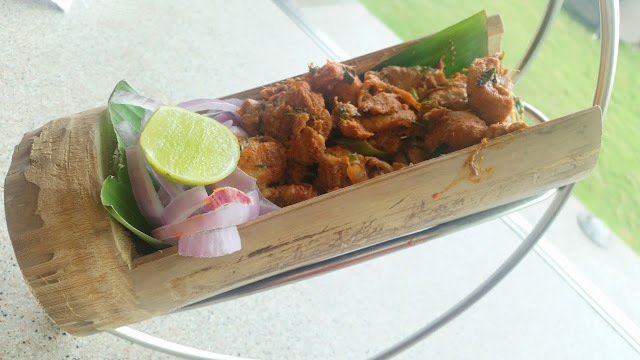 A specialty of Araku Valley, a tribal belt close to Vizag, is Bongu Chicken, a dish where chicken is marinated and prepared inside a bamboo stem and grilled in wood fire. I have had this dish in Araku, and was glad to know that Zafraan serves the dish too. The dish was brilliantly presented in a bamboo stem itself, and the taste was quite decent. A must try here. 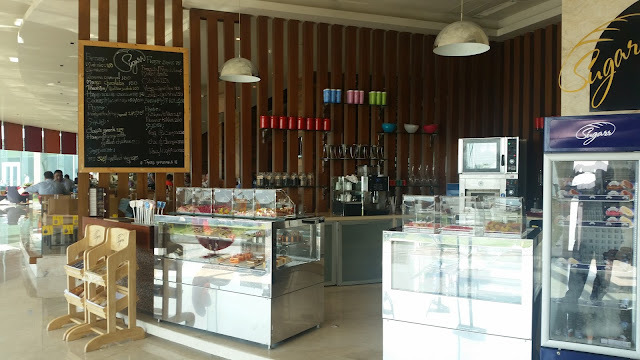 Both Zaffran and The Square has Al Fresco seating overlooking the sea, and even a view point with a binocular has been set up for the guests to indulge as they wait for their food.Novotel also has a pastry shop named Sugar, but we did not indulge there due to lack of time. On the last day of our short but enjoyable trip, we went back to Infinity after dinner. As we stood and looked at the beautifully lit up busy Beach Road and heard the rumbling of the sea, we made a mental note that for our future Vizag trips, Novotel will be the preferred place to stay.